You can study Social Work at either the Leeds Beckett University or the University of Leeds. Both have an excellent reputation in Social Work education and offer undergraduate and post-graduate Social Work Degrees. Leeds Beckett University can be traced back to 1834 with the founding of the Mechanics Institute. Since then a number of colleges and Institutes were brought together in 1970 under one name: Leeds Polytechnic, which has evolved into what is now, Leeds Beckett University. The university’s aim is to offer a high quality education and student experience. ‘In 2017 we were rated as ‘silver’ in the Teaching Excellence Framework (TEF), this means that everything that we offer consistently exceeds the rigorous quality requirements for UK higher education’. Leeds Beckett University provides Social Work education and training for motivated individuals who are interested in a career in social work and for experienced social workers who want to refine their specialist knowledge and skills. The BA (Hons) Social Work, MA Social Work and PG Certificate in Mental Health Practice (incorporating the Approved Mental Health Professional training) are all approved by the Health and Care Professions Council (HCPC), enabling professional accreditation on successful completion. The HCPC commended these courses for the involvement of service users and carers in the teaching and assessment of social work students. Social Work education is located in the School of Health and Community Studies, whose aim is to make a difference to the health and wellbeing of communities and individuals. All of the research and teaching contributes to this commitment and the multi-disciplinary nature of the School encourages inter-disciplinary learning and supports multi-agency working. All staff within the Social Work team are registered Social Workers and are engaged in research or writing for publication. The team is research active, with several members of staff undertaking doctoral research within key areas such as emotional resilience, participation of children and young people in child protection, working with fathers and adoption and ethnicity. Professor Nick Frost undertakes international research in areas of childhood, multi-disciplinary work, family support and safeguarding and he currently serves as the independent Chair of a Local Safeguarding Children Board. 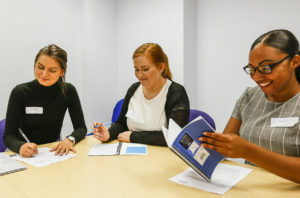 Specialist facilities such as communication suites, a mock court room and simulated housing and hospital environments enable students and practitioners to apply their expertise and develop their practical skills safely and with guidance from expert tutors. Our Library is open 24 hours a day, seven days a week, every day of the year, providing students with access to specialist books and journals, learning spaces, computers, multimedia facilities and media equipment hire. Furthermore, tens of thousands of our Library’s digital resources, including ebooks, ejournals and databases, can be accessed online. 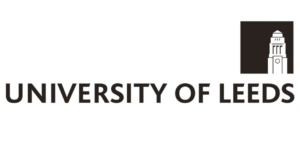 The University of Leeds is a Russell Group University ranked in the top 100 universities in the world and our teaching is rated as ‘Gold standard’ in the latest TEF framework. Our Social Work programmes are innovative, challenging and rewarding. Our graduates are highly respected due to the quality of our teaching and research informed learning; our research impacts in the top four in the UK. They are also in demand – currently all our students achieved 100% employment on graduation. We have state of the art facilities including our own on-campus flat for community practice, our own hospital wards and virtual environments for court practice and scenario practice. Our experienced lecturers share the latest knowledge, practice skills and our own first hand research, so you can experience new knowledge for a unique and cutting edge Social Work Degree. Lecturer Dr David Saltiel is engaged in a study of how mobile technology plays a part in the negotiation of caring and befriending relationships in social care and has published a number of papers in international social work journals on decision making. Adam Boyes is our Social Work Educator & Academic Lead for Educational Innovation, Technology and Blended Learning and looks at how technology can aid our students to learn and better prepare them for their careers. Dr Ruth Garbutt has a background in working with adults, has presented her research about disability and learning disability to national and international conferences. Lecturer Robin Green is an active Adult Social Worker for Leeds City Council. The BA Social Work three year programme is designed to provide you with the skills and knowledge necessary to work as a Social Worker. You will look at social work theories across the life course including the broader influence of Sociology, Psychology and Social Policy. Modules consider social work practice and the related fields of Psychology and Sociology. You will learn about the legislative framework that underpins social work and there is a voluntary sector 20 day placement. You will look at the context and theories for both child and adult social work. You will study decision making in inter-professional contexts. You will continue to develop your understanding of the law related to social work. You will study research methods and complete a 70 day placement. In both the second and third year, teaching is split around placement which help support you in linking theory to practice. Students consider both children and family social work and working with adults. You will complete a 100 day placement in a social work setting. You will also complete an online module while on placement focusing on assistive technology. You will complete a research project allowing you to critically review the literature in relation to an area of social work practice and apply this to a case study, particular part of your practice placement. You will use innovative teaching tools, video case studies, a skills rooms to facilitate home and working environments, plus interactive online tools and video skills to support learning throughout the programme. “I knew Leeds was the place for me as staff were so knowledgeable and down to earth. I wanted to do something that would make a difference so I decided to go for it and I am so pleased I did! The highlight of my course was meeting such a diverse group of people who had a similar value base as me. The support from staff was amazing and my studies really gave me the confidence in myself and my own abilities. I would recommend the University of Leeds to others without a doubt. It’s been the best thing I have ever done”. There is also a two year MA programme which runs from January through to December. The MA programme at Leeds offers a “fast track” programme to professional registration as a Social Worker. This is an exciting opportunity for graduates with some experience and knowledge of social care to enter a challenging and rewarding profession that contributes to the well-being of society. This respected programme has strong partnership links to the statutory, private, voluntary and independent sectors, and our graduates are highly sought after in the employment market. During the programme, you will have excellent placement opportunities across a range of providers. You will also benefit from a high level of consistent support from tutors. Practice and theory have equal value on the programme, and they inform and develop each other. 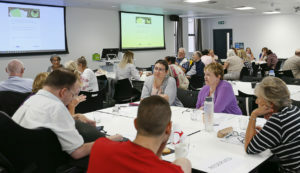 The Social Work MA involves service users and carers in all aspects of our programme and supports an inter-professional perspective in both the theory and practice of social work, studied at a world-leading University. Applications to the BA and MA social work courses at both University of Leeds and Leeds Beckett are made via UCAS and our selection process consists of 3-stages, including an interview, group discussion and a written exercise involving academics, practitioners and service users. We welcome people who have relevant social care experience and are able to demonstrate an understanding of the Social Work profession. You will need to relate your experience to the contemporary setting in which Social Workers operate.